The Essex Region Source Protection Committee consists of 15 members plus a Chair and is comprised of representatives from sectors that encompass the broad, multi-sectoral interests of our region. The staff at the Essex Region Source Protection Authority carry out the technical requirements of the Clean Water Act. The Essex Region Conservation Authority Board of Directors is designated as the Source Protection Authority in the Essex Region. 1/3 of the members must reflect the interests of the local municipalities. 1/3 of the members must reflect the interests of the local economy including agriculture, commerce, industry, and small business. 1/3 of the members must reflect other interests including environmental, health and other public interests. Members in our municipal Sector representatives are recommended by municipalities. Our Committee has two representatives from the City of Windsor, one representative from Amherstburg, one representative from Lakeshore, and one representative from Union System Water Supply (representing Kingsville, Leamington, Lakeshore and Essex). Members in our economic sector represent local economic interests, including a minimum of two agricultural representatives and one representative from the greenhouse sector. Members in our other interest sector include community members with diverse backgrounds and interests. All members must reside, own property, rent property, be employed or operate a business in the Essex Region Source Protection Area. The Source Protection Committee also includes liaisons from the Source Protection Authority, the Windsor-Essex Public Health Unit, and the Ministry of the Environment, Conservation and Parks. Minutes for each Source Protection Committee meeting are posted once they have been approved by the Source Protection Committee. Committee meetings are open to the public, and delegations to any Committee meeting will be considered, if requested in writing at least ten (10) days prior to the meeting, or if otherwise approved by the Source Protection Committee Chairman. Such written request must state the purpose of the delegation. Delegations to any meeting of the Committee will be limited to one key spokesperson and will be allotted a maximum of five (5) minutes for their related presentation, with the Chairman’s discretion to allow ten (10) minutes. 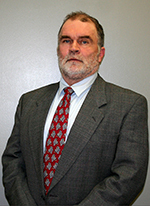 Tom Fuerth is a retired Professional Engineer from the University of Windsor. Tom also has dedicated over 35 years to public service, first as a Councillor/ Deputy Reeve/Deputy Mayor for Sandwich South and Essex County Councillor, then as a Councillor in the Town of Tecumseh. He has chaired many organizations, including the County Library Board, Windsor-Essex Community Health Committee, Police Service Selection Committee for amalgamated Tecumseh, County Fire, Planning and Personnel Committees, and the Public Relations Committee for Hotel-Dieu Grace Hospital. 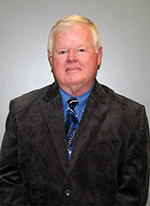 Tom also served as Chair of the Essex Region Conservation Authority and as a Director for Libro Credit Union. This strong background in public service and leadership combined with his experience in developing consensus and team building are strong assets that Mr. Fuerth has brought to the Source Protection Committee. Antonietta Giofu is a University of Windsor alumnus and has 10 years experience in the industrial and manufacturing field as an Environmental Engineer for Ford Motor Company and Nemak. 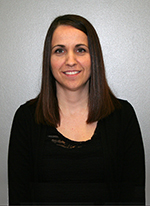 She is currently the Environmental Services Engineer for the Town of Amherstburg in the Water and Wastewater Department. “I am very excited to be a part of this important committee and look forward to doing my part in protecting our drinking water sources,” she says. Antonietta is hoping to use her experience in both the industrial and manufacturing fields as well as her experience in the Municipal sector to assist the committee in achieving its goal of safe drinking water. Nelson Santos received his B.A. in Social Science (Political Science) from the University of Windsor. 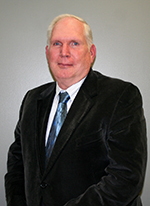 He was first elected to Kingsville Council in 1997 and has served as Mayor for the Town of Kingsville since 2003. Nelson has been a sitting Essex County Councillor since 2000. He is also a past Chair of ERCA, past Essex County Warden 2006-2010 and past Co-chair of the Windsor -Essex Environment Committee. Nelson is honoured to join this dynamic team and is looking forward to providing a supporting role to the improvement and protection of our communities and our environment’s key resources. He hopes to help strengthen our collective efforts to reduce risks that threaten our environmental health. 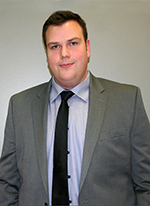 Kevin Girard is a graduate of the Civil Engineering Technology program at St. Clair College and received his Bachelor of Engineering from Lakehead University. 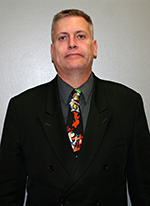 He is a licensed Professional Engineer and currently holds the position of Manager of Environmental Services for the Town of Lakeshore. In this capacity, he oversees the Water and Wastewater Division which manages the Town’s water treatment facilities, the Stoney Point Water Treatment Plant and the Belle River Water Treatment Plant, as well as the Water Distribution division. 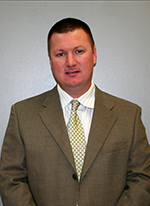 In addition, he also manages the wastewater treatment facilities and collection systems for the Town. Kevin holds an integral role in the protection of the Town’s source water and is enthused to be a part of the team to develop policies at a regional level. Paul Drca received his Diploma in Chemical Engineering Technology from St. Clair College and a Bachelor of Science degree from the University of Windsor. He has been employed with the City of Windsor’s Public Works, Pollution Control Department for 34 years. In his present position as Manager Environmental Quality, Paul is responsible for the management of the Pollution Control Laboratory, Sewer Use By-law enforcement and corporate Environmental Master Plan initiatives. Paul is a member of the Canadian Water and Wastewater Association (CWWA) Climate Change Committee and Wastewater Committee. He is also a member of the Water Environment Federation (WEF) and the Water Environment Association of Ontario (WEAO). Paul is pleased that he can offer his experience to the protection of potable water supplies in the Windsor/Essex County area and looks forward to ensuring that reasonable, practical and cost effective approaches to the protection of our water supply are prepared and appropriately implemented. 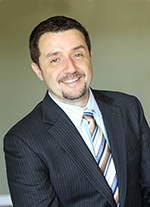 Thom is a Registered Professional Planner (MCIP, RPP) and graduate of the University of Windsor and St. Clair College. He holds an Honours Bachelor of Arts Degree in Urban Planning, a Masters Degree, and a Diploma in Civil Engineering. Thom has over 30 years of professional and multi-disciplinary experience and has held various roles in both private and public practice including consulting engineering, conservation authorities, and local community and sustainability initiatives; he joined the City of Windsor’s Planning and Building Department in 1998 and is currently the Executive Director and City Planner. 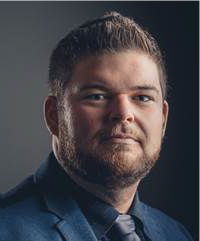 Ian Wilson has a Masters of Applied Science in Civil Engineering from the University of Windsor where his research on hydrologic and non-point source pollutant loading modeling was developed in conjunction with and incorporated into the Big Creek Watershed Plan. He has previously worked for the City of Windsor and the Essex Region Conservation Authority (ERCA) and currently works for a national consulting firm, Dillon Consulting Limited, as a member of the water resource engineering practice. 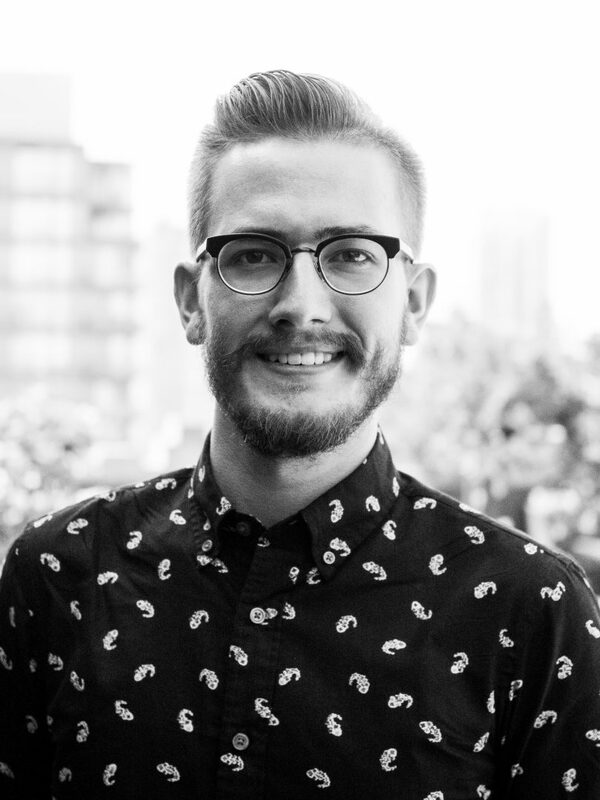 Ian has five years’ experience in water resource research, design, and scientific studies has experience and provides technical support for many regional Municipal Drainage Reports in accordance with the Ontario Drainage Act. Ian is excited and feels privileged to be part of the team that will develop regional policies for protecting the Essex Region’s water quality and resources. Nathan Warkentin is the Energy and Environment Analyst for the Ontario Greenhouse Vegetable Growers. He has been with OGVG since 2017. Nathan assists growers with ECA applications, annual reports, and contingency plans. He coordinates research projects including one with the Great Lakes Institute of Environmental Research on Storm Water Retention Pond water quality. He also provides sector insight on the latest energy and environmental technology, policy, and research. Previously, Nathan received an M.Sc. in Sustainability Management and worked as a carbon accountant for an environmental service company in Toronto. 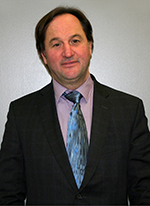 Jean-Marc Beneteau is the President of Essex Soil and Crop Association, a committee member of the Southwest Agricultural Conference, and also served as a provincial director of the Ontario Corn Producers Association. Mr. Beneteau chaired the Ontario Agricultural Commodity Council and was an Essex Region Conservation Farm award winner. He is the owner and operator of a Grain & Oilseed farming operation in the Woodslee Area and is excited to use his experience to help improve water quality in a sustainable manner. Tim was recently employed as a Senior Project Manager for Stantec Consulting Ltd. in Windsor. Formerly, he was the Director of Public Works for the Town of Lakeshore. In that capacity he was responsible for the administration of all road, water and wastewater operations for a municipality with a population of 30,000. The Town of Lakeshore owns and operates two water treatment plants, a pollution control plant and two sewage lagoon systems. The road network consists of approximately 600 kilometers of roads and related bridge and railway crossing infrastructure. Tim was also Administrator Clerk Treasurer of the former Town of Belle River, as well as Manager Secretary Treasurer of the Belle River Hydro Electric Commission and the Lakeshore Hydro Electric Commission prior to amalgamation in 1999. Prior to his over twenty years of municipal experience, Tim was self-employed as a drainage Contractor for 9 years and completed several small drainage, watermain and sewer repair projects in Essex County. Bill Dukes is the Water Quality Compliance/Water Operator for the Town of Lakeshore and brings over 14 years experience in water treatment and distribution of municipal drinking water, to our committee. 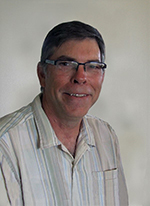 Bill is a current member of the Walkerton Clean Water Centre Research Advisory Committee and has previous experience with the Ontario Clean Water Agency, Union Water Supply System, and South Peel Water Supply System. He has his Water Operator Certificate, Class 4, for water treatment, and Class 2 for water distribution and supply, and water quality analysis. Bill is honoured to be selected as a committee member and plans to work towards bringing attention to the issue of protecting drinking water at its source, to help the water treatment processes. Ron retired after 35 years with Fiat Chrysler Canada Windsor as a Paint Production Planner. He is a lifelong resident of Lakeshore who also enjoys fishing in the Essex County lakes and rivers. He is an active member of the Knights of Columbus Council 2775 and a current member of the Lakeshore Committee of Adjustments and Police Service Board. 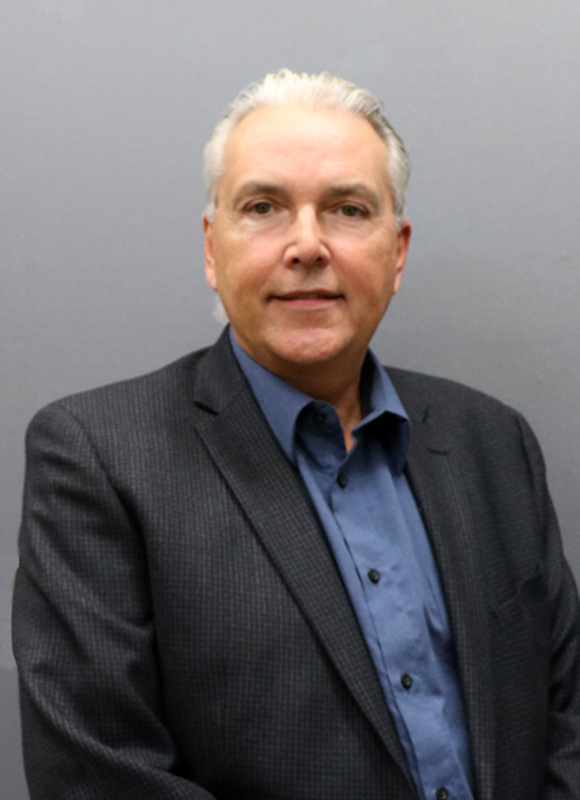 Ron is pleased and honoured to have been selected to serve on the Source Protection Committee and hopes to utilize his numerous years of experience in manufacturing. He looks forward to becoming knowledgeable of the committee programs and projects and is proud to work with his fellow members in developing and maintaining a Source Protection Plan that will sustain our drinking water. Cynthia Ouellet received her BSc in Environmental Studies and Biology from Saint Mary’s University in Nova Scotia. She also studied and worked in Montreal, Guelph and Calgary. 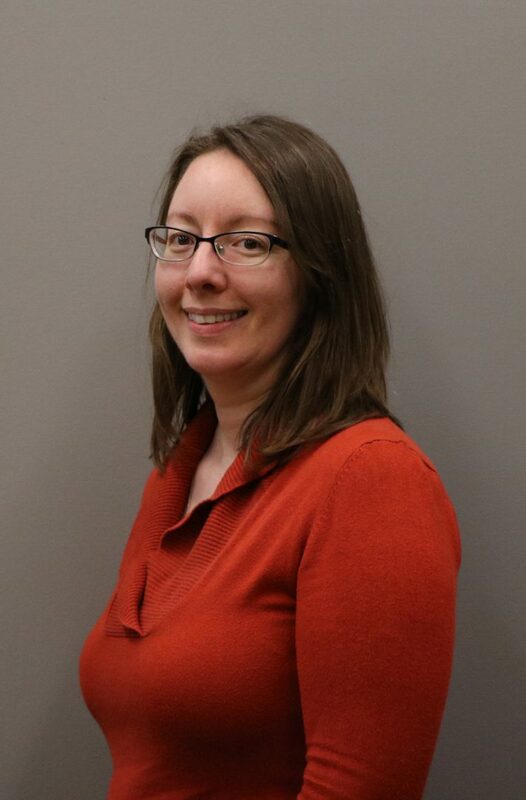 While in Calgary, she worked for the City of Calgary as an Environmental Specialist in the Water Services/Water Resources Department where she work on a source water protection plan, an asset management project and ensured environmental compliance on construction projects. She has over seven years of laboratory experience and was on a water standing committee at the City of Guelph.